A few weeks back, my dad brought home a giant flat of local strawberries~ and I got to work being creative! The first recipe I shared was for Strawberry Shortcake Muffins (see that recipe here). 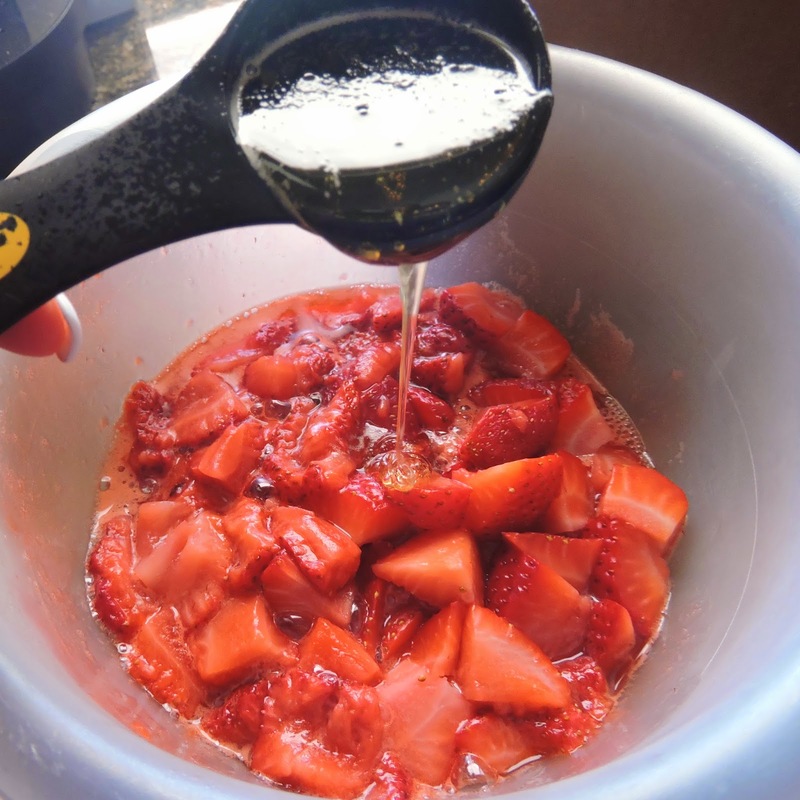 I promised that I would be back with another simple strawberry recipe, and here I am! 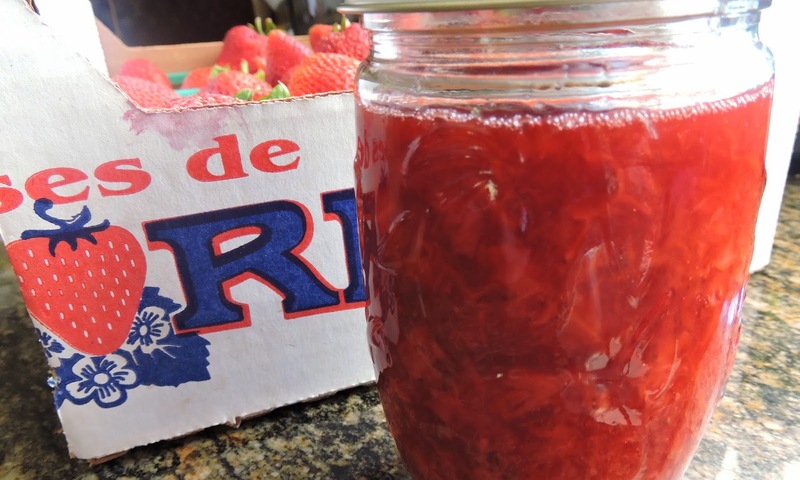 Today I want to share my really super simple recipe for strawberry jam. When I say simple- I mean simple. I promise it could not be easier... it's done in the microwave, cooked for just five minutes, and requires no strange ingredients or slaving over a stove! 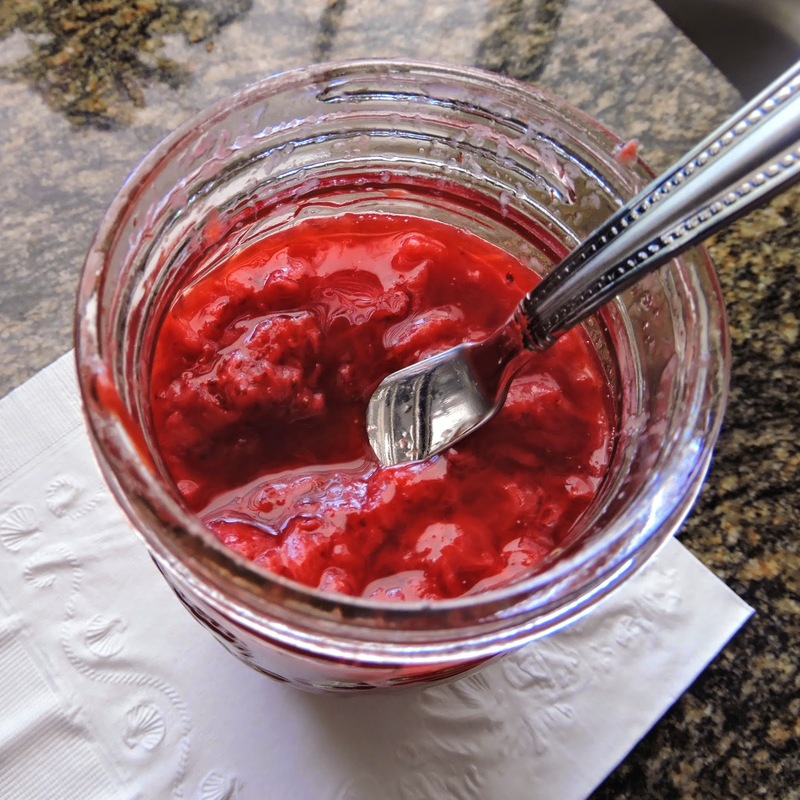 This jam can be used in so many different ways. Spread it over your favorite Paleo-friendly biscuit or bread, put it on top of Three-Ingredient Pancakes (recipe here), or spoon it over sliced bananas with some shredded coconut. The options are endless! 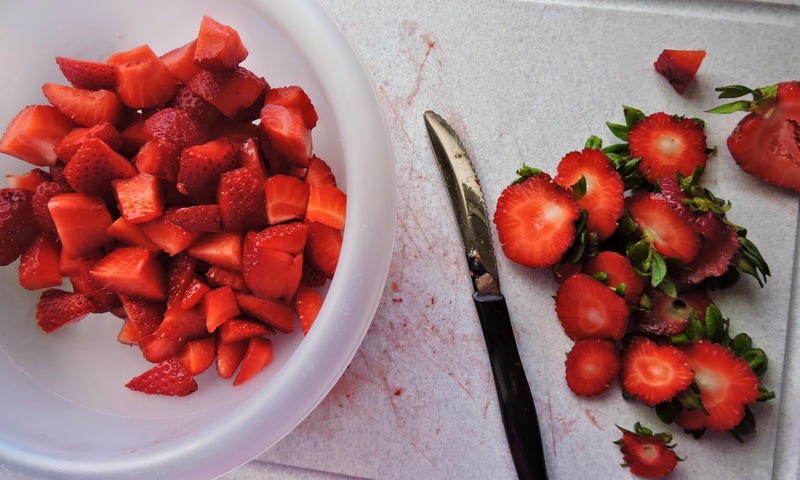 Place the chopped strawberries in a large microwave-safe bowl, and heat in the microwave for 2 minutes. Mix in the honey & lemon juice, and mash-mash-mash until combined and a desired texture. Heat in the microwave for an additional 3 minutes, then transfer to a jar. Refrigerate until cooled, and serve! 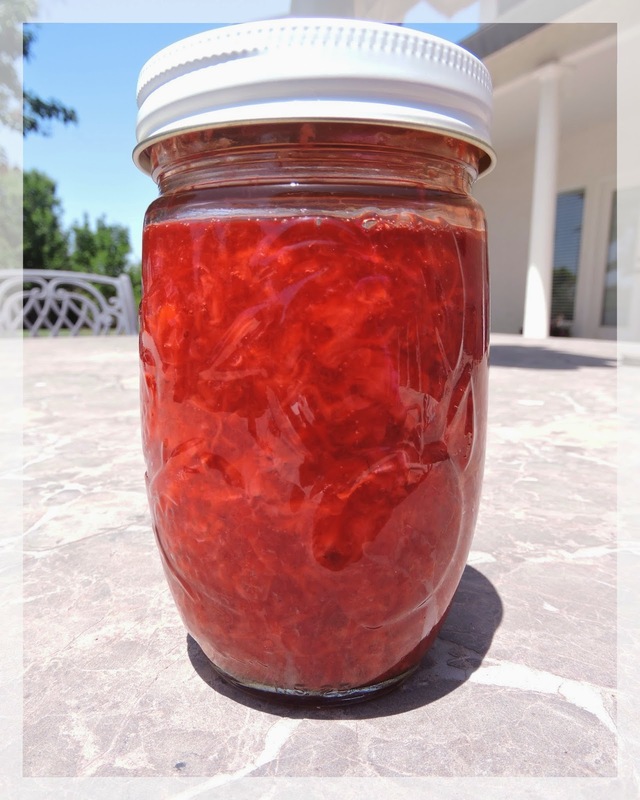 *Store your jam in an airtight jar or container in the refrigerator.